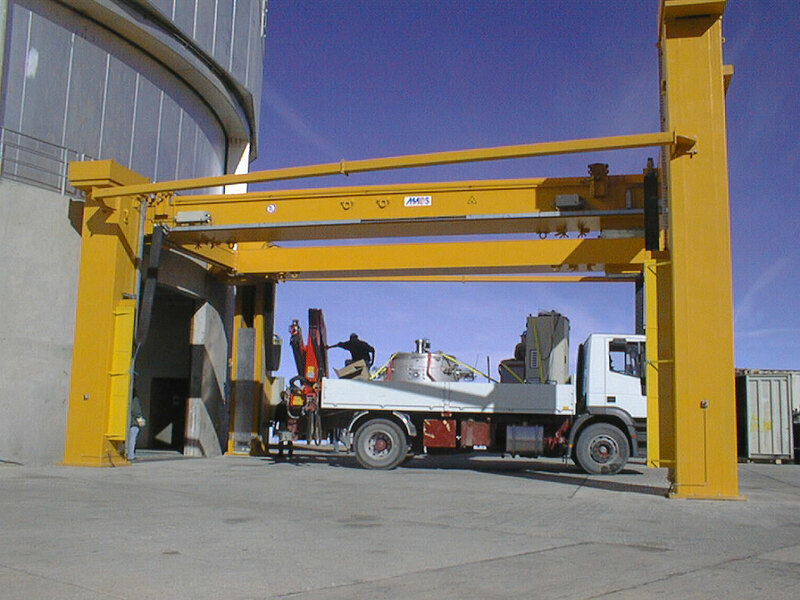 After the successful activation of FORS1, the first major astronomical instrument at the Very Large Telescope on Paranal, the VLT Infrared Spectrometer And Array Camera (ISAAC) has now been mounted on UT1, the first of the four 8.2-m Unit Telescopes. 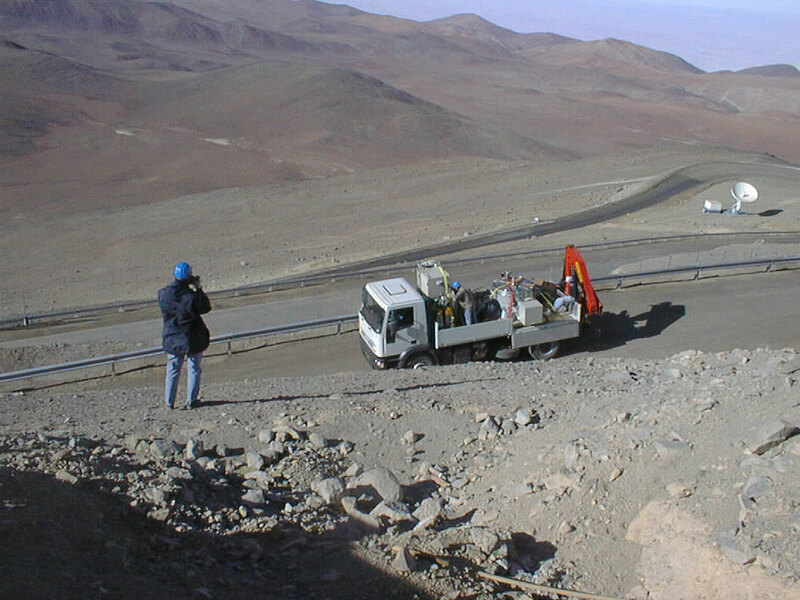 This followed a period of thorough testing since ISAAC arrived at Paranal earlier this year. 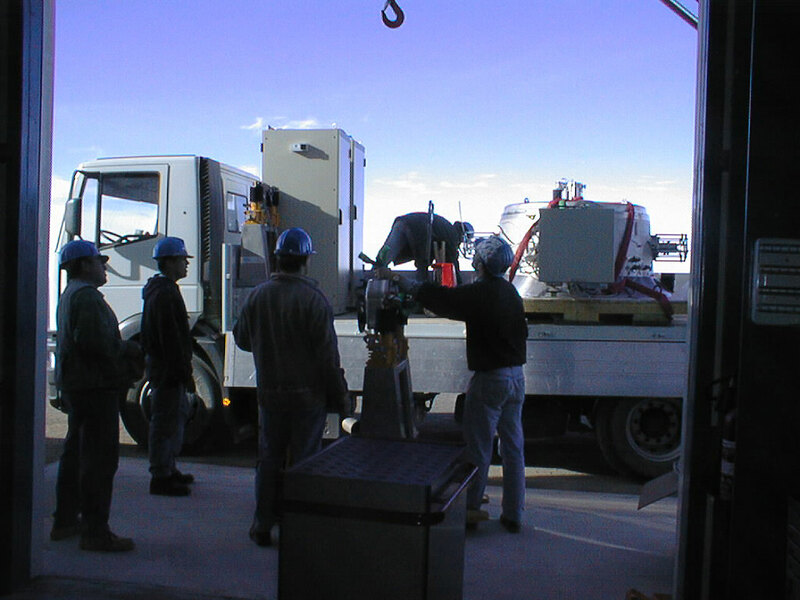 ISAAC is a cryogenic infrared spectro-imager (spectral region 0.9 - 5 µm) that will be installed at the Nasmyth B focus of UT1. It has two arms, one for the Short Wavelength (SW) spectral domain (0.9 - 2.5 µm), and one for the Long Wavelength (LW) spectral domain (3 - 5 µm), both equipped with state-of-the-art detectors. ISAAC has a variety of imaging and spectroscopy modes in both of the arms. It is controlled via a panoply of software templates for defining and executing sequences of operations for Acquisition, Observation and Calibration. 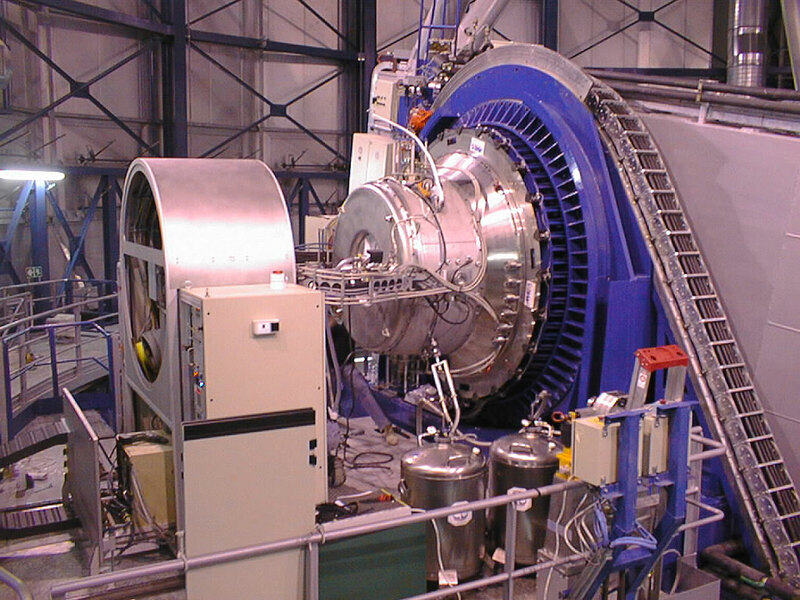 As any other VLT instrument, ISAAC can be used in Service or Visitor Mode. On Friday (November 13), ISAAC was transported from the Integration Laboratory in the Control Building where it had recently been tested, to the bottom floor of the UT1 enclosure . 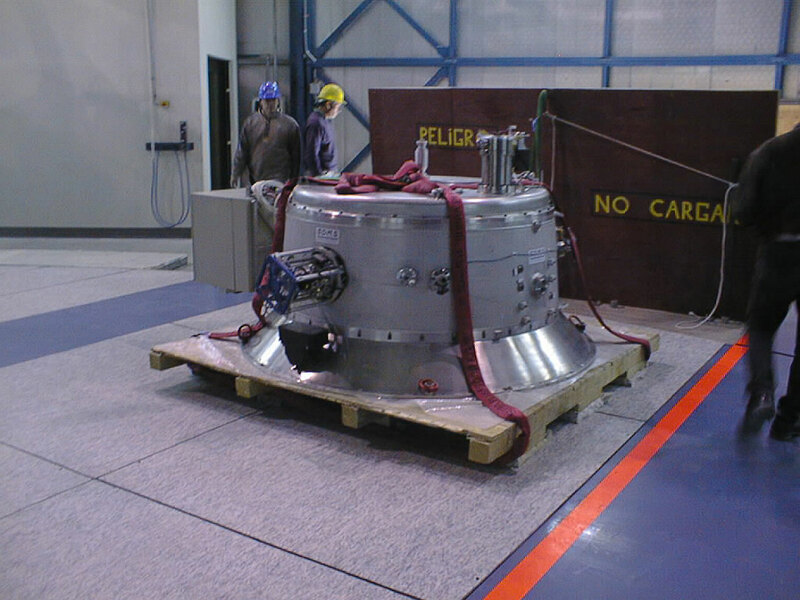 ISAAC was then moved to the UT1 Nasmyth platform B on Saturday (November 14) and the installation was begun. 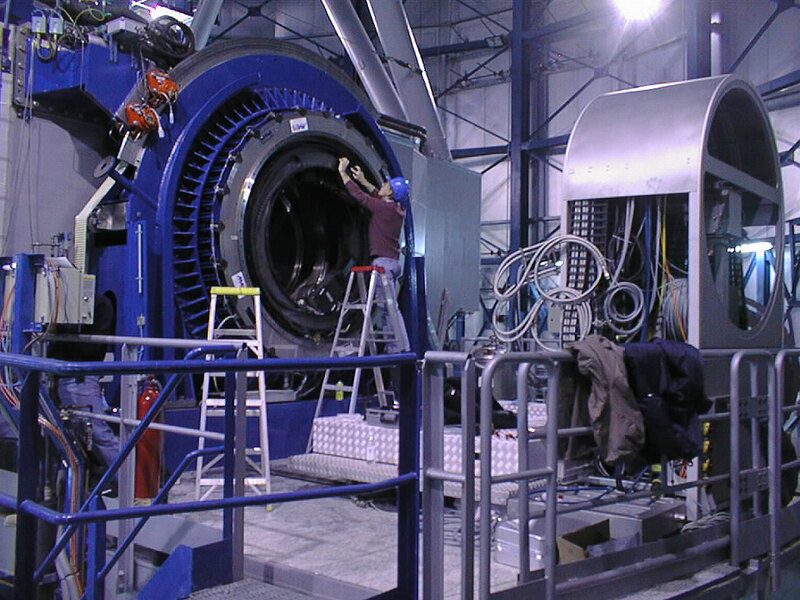 On Sunday (November 15), the work continued by balancing ISAAC on the rotator-adaptor and more wiring work was carried out. 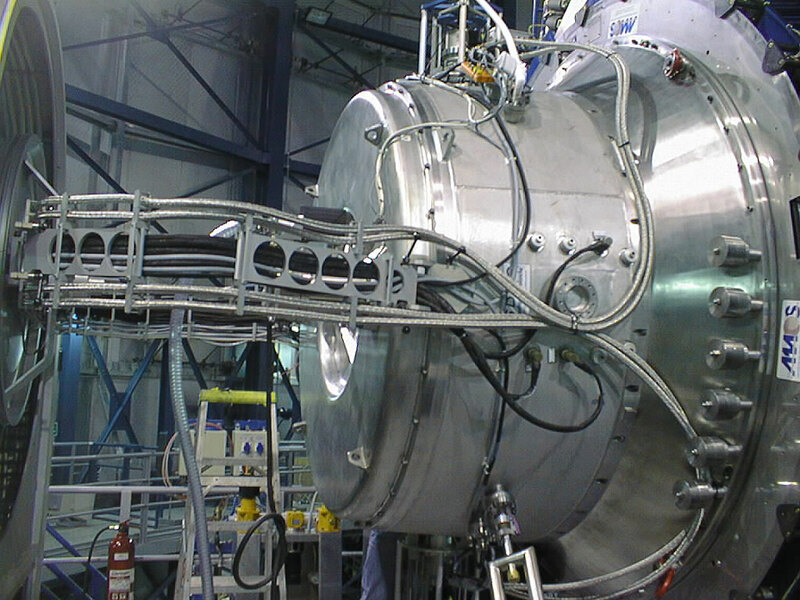 The cryogenic pumps were started in the evening and ISAAC is now cooling down to its operating temperature (-196 o C). This takes about 24 hours. If all goes well, it should then be possible to obtain the very first sky exposures during the night between Monday and Tuesday (November 16-17). 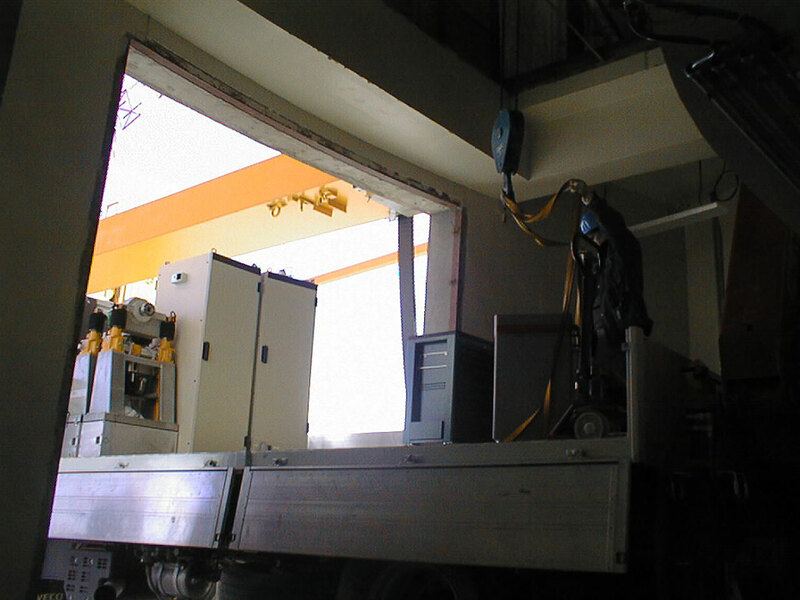 Before this, however, some final cable connections, software testing and general tidying-up will take place. Eight electronic photos are shown here for illustration. More images will be brought after the "ISAAC First Light" event, now imminent. Further developments may be followed via the VLT Information webpage. Technical Information: The field size is about 1.5 x 1.5 arcmin with N at the top left and E at the lower left corner. The seeing was between 0.46 and 0.65 arcsec in the different images.